The Venice transport (most of the hardware of Corpora) from Japan is ready to sail (actually they will fly). 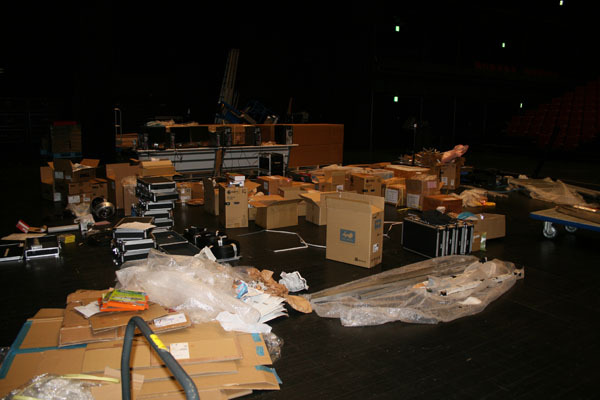 All the stuff was packed at the YCAM by the local crew and Sota, and now ready to travel to Venice, the location of the 11th Architectural Exhibition. The boxes first shall arrive to Budapest, to the local Kunsthalle, then they will travel to Venice by truck. Check out the images of the packing below!